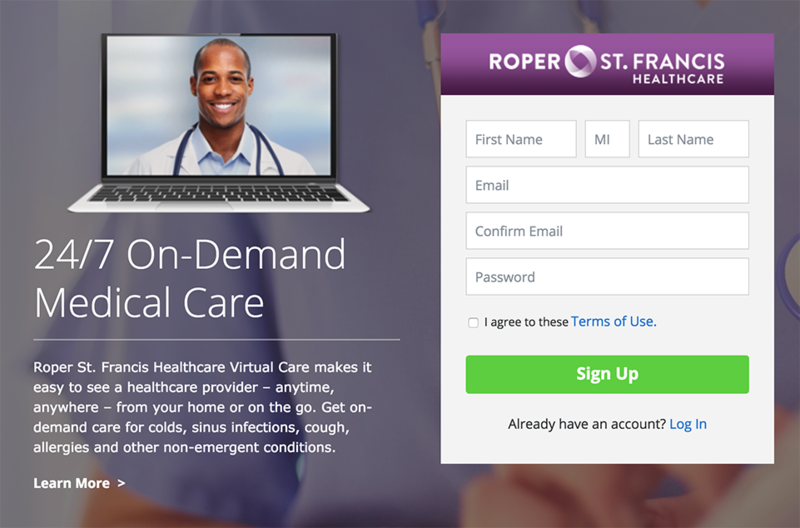 Roper St. Francis Virtual Care makes it easy to see a healthcare provider – anytime, anywhere – from your home or on the go. All you need is your computer or mobile device to see a doctor any time, day or night. During your video visit, the doctor will ask questions, answer questions, diagnose your symptoms and, if appropriate, call in a prescription to your local pharmacy. 2. Visit RSFHvirtualcare.com. You must register before you can start using the service. Roper St. Francis Virtual Care is not a replacement for your primary care doctor. You should continue scheduling office visits for regular checkups and preventive care. For true emergencies and life-threatening issues, go to the emergency room or call 911.